Cha Le,which takes its name rather appropriately from the Mandarin for "Happy Tea", has been serving tea in Vancouver's Yaletown since February 2017. 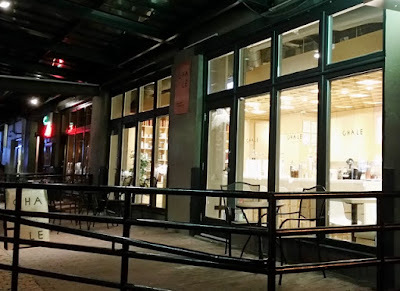 The tea room, owned by Sue Wang and Charlie Zhang, is located on the corner of Hamilton Street and Davie Street. The tea room interior is modern and bright with seating at tables and along the tea bar. Service during my late-evening visit was friendly and welcoming. 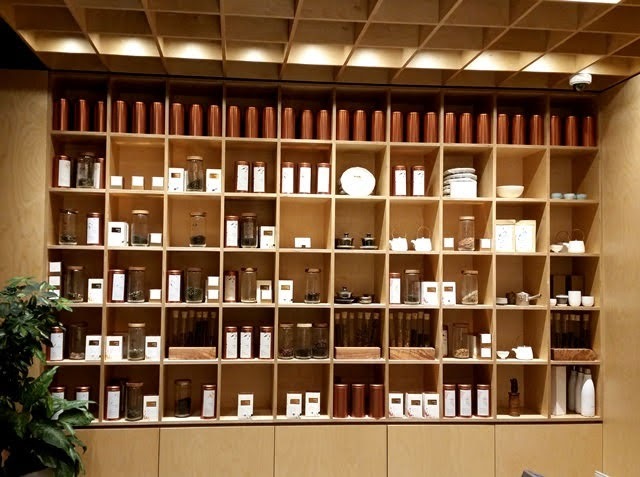 Cha Le offers a broad selection of loose leaf white, green, oolong, black, and puerh teas and tisanes to take home or to be prepared in-house. 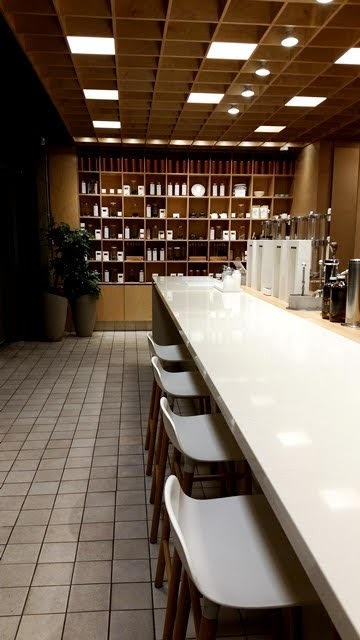 In addition to loose teas, the cafe menu includes fruit teas, tea lattes, cheese teas, kombucha, boba milk teas, and cold brew coffee. If you're feeling a bit hungry, their menu also includes an intriguing variety of sweet or savory toasts. A central feature of the tea room is the row of Alpha Dominche Steampunk tea brewers. 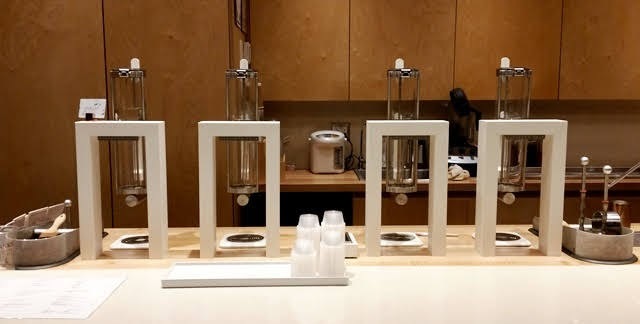 After seeing a Steampunk demonstration at World Tea Expo a few years ago it was a delight to see them in use in a practical setting. Unfortunately, Alpha Dominche went out of business shortly after my visit, so these brewers will eventually need to be replaced, hopefully with something similarly engaging and in line with the modern cafe setting. 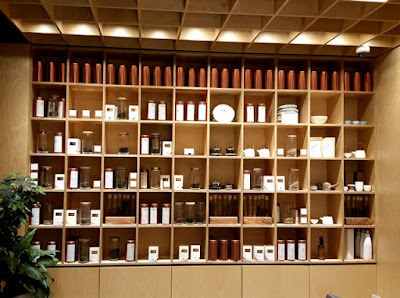 For this visit, I selected the Roasted Oolong Latte and enjoyed watching my tea go through the brewing process. 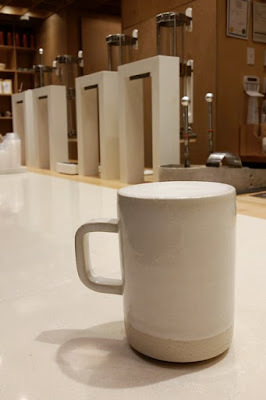 My tea was served in a mug made by local ceramicist Rachel Saunders which added a nice, personalized touch to the experience.